One art installation on the Greenway this year was made out of shipping containers. 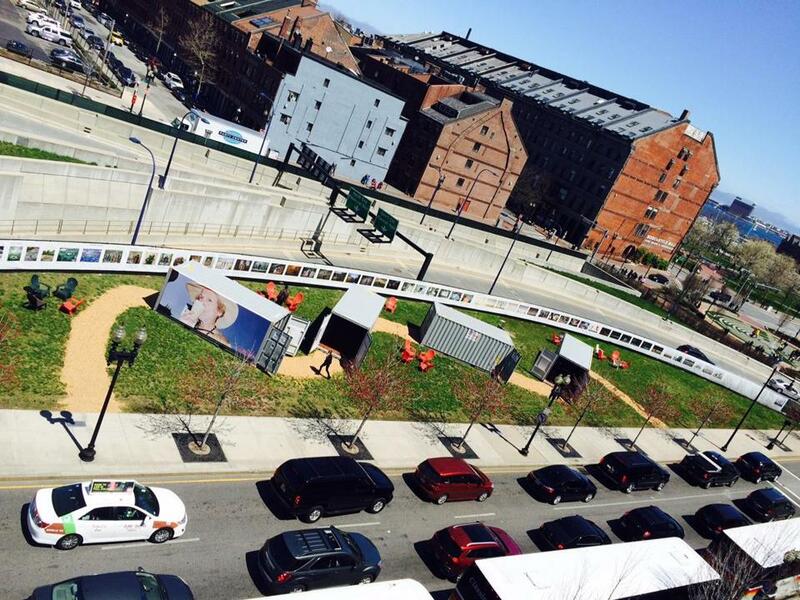 Continuing its push for public art, the Rose Kennedy Greenway Conservancy is calling on artists to submit proposals for a pair of temporary projects on the Greenway in 2016. The first project is part of the Greenway’s ongoing rotational exhibition series inspired by the Chinese Zodiac. Working in conjunction with Radian Boston, organizers are asking artists across the country to submit proposals for temporary mixed-media and sculptural works that draw inspiration from 2016’s Chinese Zodiac animal, the monkey. Organizers note, however, that the proposed projects “do not have to be directly connected to the concept of the Zodiac, and may instead focus on the larger theme of ‘Monkeys.’ ” The chosen project will replace the series’ inaugural artwork, “Wandering Sheep” by Kyu Seok Oh, which until recently stood in Chinatown Park. The second initiative, dubbed “The Local,” seeks proposals from Massachusetts artists to create site-specific works along the Greenway starting in the spring of 2016. Organizers plan to select as many as five Massachusetts artists for the six- to 12-month project, which they hope in aggregate will “collectively, physically, and/or experientially unite the segmented parks and connect the communities along the park system.” Works can be in any medium, but must be durable enough to withstand the elements. The application deadline for both projects is Dec. 14. Details can be found on the Greenway website.